To boost your communication visually, choose the appropriate forms of visual communication according to your information, audience and presentation equipment. 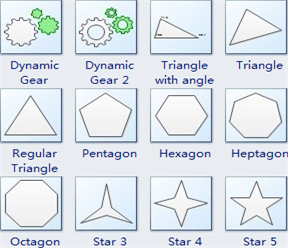 Understand the meaning of some basic shapes. 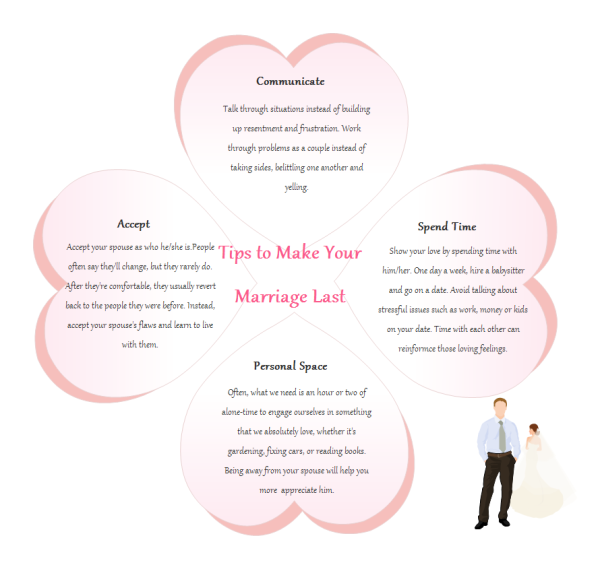 Develop better visual communication. Some shapes carry commonly acknowledged meaning. When words cannot reach the purpose of communication, let shapes play that role. See some commonly used shapes and their meaning in visual thinking. Download the software and then you will have about 10,000 shapes at you fingertips. Use a heart shape to represent love is globally accepted. 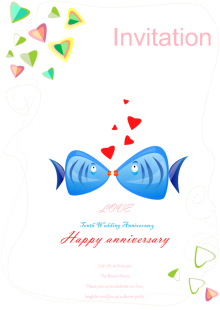 It symbolizes a romantic feeling concept. 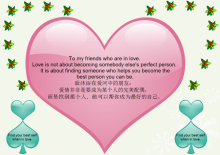 Various heart shapes are widely used in graphic design such as Valentine's Day greeting card, fashion design and so on. 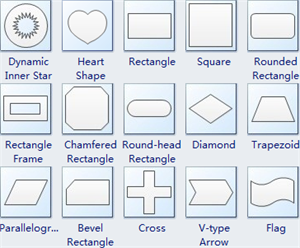 See some sample application of heart shapes below. Cross shapes stand for spirituality and healing. They are seen at the meeting place of divine energies. The 4 points of a cross represent self, nature, wisdom, and higher power or being. The Cross means the one on which Jesus Christ was crucified. Circle is a representative of whole and completeness. Circles' features to protect, endure, restrict, confine what's within and keep things out suggest the infinite, unity, and harmony. Different colors of flags indicate different meanings. See the following list. Red flag is a symbol of warning of danger or problem. White flag is universally recognized as a symbol of surrender. Black flag is a pirate's ensign, typically thought to feature a white skull and crossbones on a black background. The significance of star is knowledge, good and truth. It is often used to signify heavenly bodies, purity and good luck. In education field, teachers often give or draw a star shape for the student who has performed well. Edraw offers a group of pre-drawn shapes in vector format. Users just need to drag and drop them to use. And with the advanced diagram tool, users can edit the shape quite easily to suit different styles. See more available shapes below. If used properly, a shape is worth dozens of words. To develop your visual communication, apply some simple or colorful shapes.